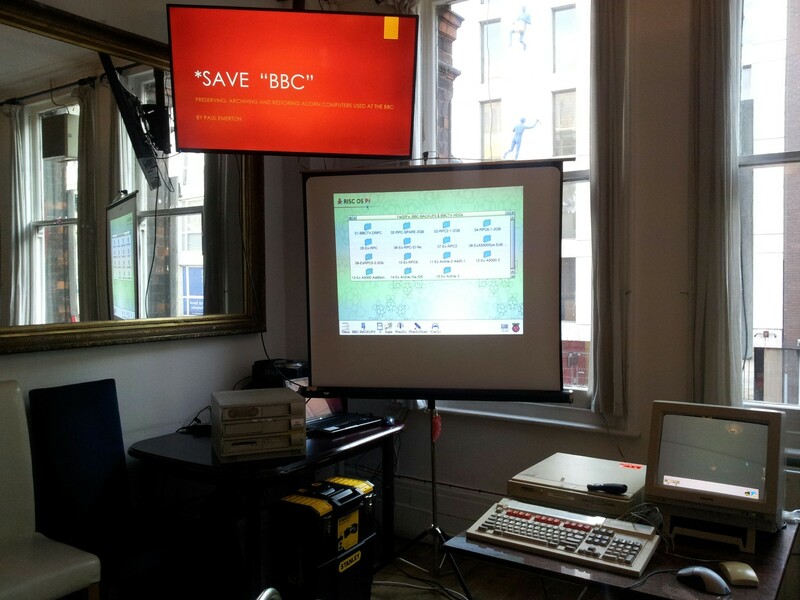 Paul Emerton has recently taken delivery of the remaining BBC's Special Projects Acorn kit and disc media with the job of recovering and archiving the material and building up the machines into working demos. Hopefully one or two will function well enough to loan to a museum on completion. Paul will tell a few short stories about what the BBC used the kit for and then give a rough guide to what he plans to do. If Paul can get it running in time then he may also be able to demo something produced by the BBC graphics department on original hardware (PRISMA / APEX systems).